If its peace and quite you are looking for this is the property for you. 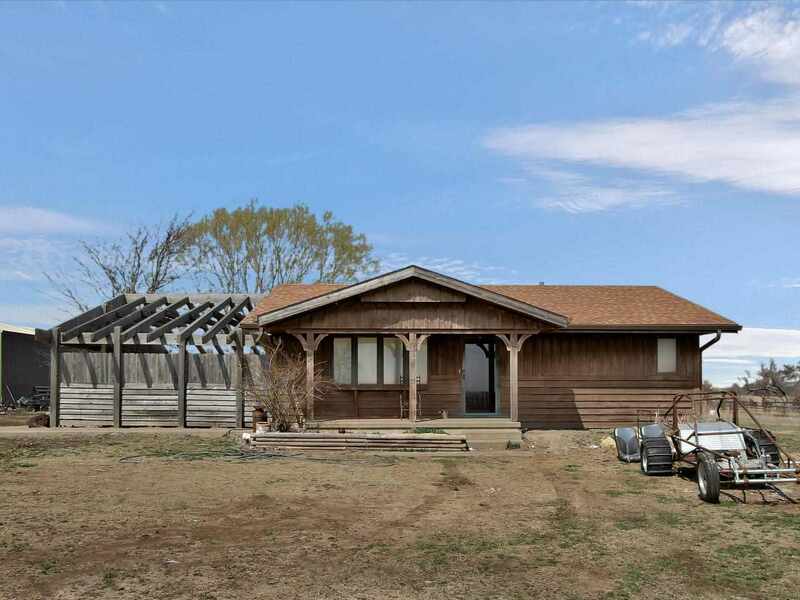 This modular home sits on 19.4 acres, has a full basement and a great shop that is 30x50 with a concrete floor and power. On beautiful summer days you will enjoy either the covered front porch or the semi covered back deck that has plenty of room to host a party. The main level of this home features 2 bedrooms, 1 full bath, living room and a large kitchen dining area. The owner had hardwood floors installed in the kitchen, living room and dining area. The basement has a bedroom with a egress window and 3 additional finished rooms without egress windows. The home had a new roof installed fall of 2015, a nice 30x50 metal building, its on rural water with a lagoon. This property is in an estate and will need 60 days to close. The remaining personal property will be removed prior to closing. There is a lock on the gate and the combo will be given when agent request a showing.